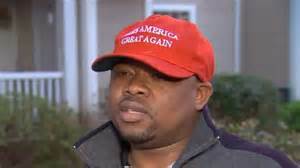 On Saturday, two men allegedly attacked a man wearing a “Make America Great Again” hat in Germantown, Maryland, roughly 30 miles from Washington, D.C. So Jessie Mullet lies to put shoe on other foot and yet we dont hear a peep from the hippocriticle lame stream media. Huh? ?